Located on the West Coast of Ireland, this 13th - century, five star Castle sits on the northern shores of Lough Corrib. Once the country estate of the Guinness family, it was transformed into a luxury hotel in 1939 and now offers 82 guest rooms. 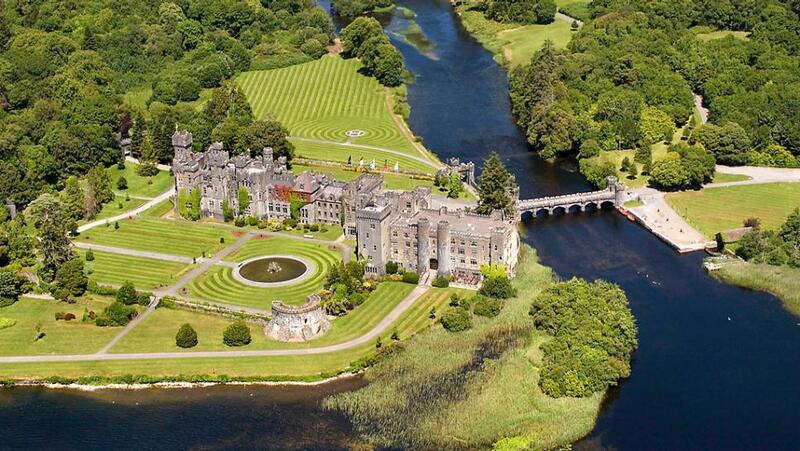 Ashford Castle was voted Best Hotel in the World by Virtuoso 2015. Following the purchase of Ashford Castle by the Red Carnation Hotel Collection in June 2013, the castle has been lovingly restored by its owner, Mrs Beatrice Tollman with carefully sourced antiques, original artwork, exquisite fabrics and bespoke carpets. There are a myriad of activities to be enjoyed on this private 350 acre estate from complimentary golf on the estates’ nine hole course or tennis on two all weather tennis courts to the ancient art of Falconry to Clay Pigeon Shooting, Horseback riding, boat trips on the lake, fishing and kayaking. Inside the castle guests can enjoy the luxury of a 32 seated Cinema, the Billiards Room and Cigar Terrace or the state of the art Spa which includes, five treatment rooms, fitness room, relaxation room, manicure and pedicure station and a relaxation pool. Dining options are plentiful too. Cullen's at the Cottage offers an International style menu heavily influenced by the owner Mrs Tollman with her favourite dishes from around the world. They also have the Dungeon which offers a traditional Irish menu in a relaxed and casual setting. The main dining room, the George V offers a five course menu or an A La Carte menu in a formal setting and in keeping with tradition, a jacket is required for gentlemen. The Drawing Room offers a snack menu daily and the elegant Connaught Room offers the wonderful Lord and Lady Ardilaun's Afternoon Tea which is a tradition that has been preserved at the castle since 1868. Dream Travel International, Inc. guests receive VIP Virtuoso Amenities at this wonderful castle!